Kernel 3.12, LUKS nuke, Amazon AMI / Google Compute images and more! It’s been a while since our last minor release which makes 1.0.6 a more significant update than usual. With a new 3.12 kernel, a LUKS nuke feature, new Kali ARM build scripts, and Kali AMAZON AMI and Google Compute image generation scripts, not to mention numerous tool additions and updates – this release is really heavily laden with goodness. For more information about what’s new in this release, check the Kali changelog. This new release brings with it the introduction of the Offensive Security Trusted ARM image scripts – a set of slowly growing scripts that are able to build Kali Linux images for various ARM devices. These scripts will replace the growing number of actual ARM image releases we have in order to reduce the exponentially growing amount of traffic we serve on each release. We will release a short blog post about how to use these scripts in the next few days. A couple of days ago, we demonstrated a cool patch for cryptsetup, which introduces a self destruction feature. The response to this post was overwhelmingly positive, as many people voted to see this feature included in Kali Linux. Therefore, we included this patch into our cryptsetup package yesterday, making the luksAddNuke options available to all Kali users by default. The patch is non-invasive and will not change anything for anyone that does not want to make use of it. No action is necessary if you currently use LUKS and don’t want to utilize the key nuke feature. The updated cryptsetup package is present in Kali 1.0.6 by default. We’d like to take a moment to thank everyone who participated in the poll for voicing their opinion. This kind of feedback is very useful for us, giving us a better feel for the type of features to add in the future. In an upcoming blog post, we will take the opportunity to better explain this new feature and show you how to test it out. VMware Tools always lags behind new kernels, which always causes us headaches and this time is no exception. At the time of this release, VMware Tools does not cleanly compile against kernel 3.12 and requires a set of patches. We have posted these Kali Linux VMware Tools patches on GitHub along with instructions on how to use them. We suspect that these build issues will go away in future releases of VMware Tools. Yay! This was on our todo list for quite awhile and we’re happy to bring this feature out at last. A set of scripts that enables you to build your own custom Amazon AMI and Google Compute cloud images. If you intend to use the images for any real work, you should first consult with the terms of service of the cloud provider. Due to the ever growing number of ARM images Offensive Security is contributing as well as the high demand of more flavours of VMware images, we’ve separated the Official Kali images from Offensive Security contributed images. This allows us to generate more VMware image flavours (amd64, i486, i686-pae), as well as increased flexibility in future releases. To find updated VMware and custom ARM images, visit the Offensive Security Custom Image Download Page. Please bear with us as we update images on this server in the next few days. We’re really happy with this release and are looking forward to completing our next goals with 1.0.7. As usual, you are welcome to visit our Kali Linux forums (which now default to HTTPS), read up on our official documentation, submit bugs and patches, or chat with us in IRC, irc.freenode.net, #kali-linux. 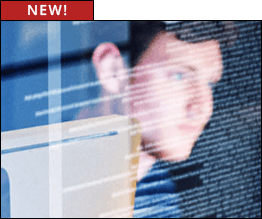 Offensive Security has recently updated its “Penetration Testing With BackTrack” online course to “Penetration Testing with Kali linux“. If you’re looking for official, quality training on Kali Linux, this is a great place to start. We’re biased of course, but many other people seem to think so too!